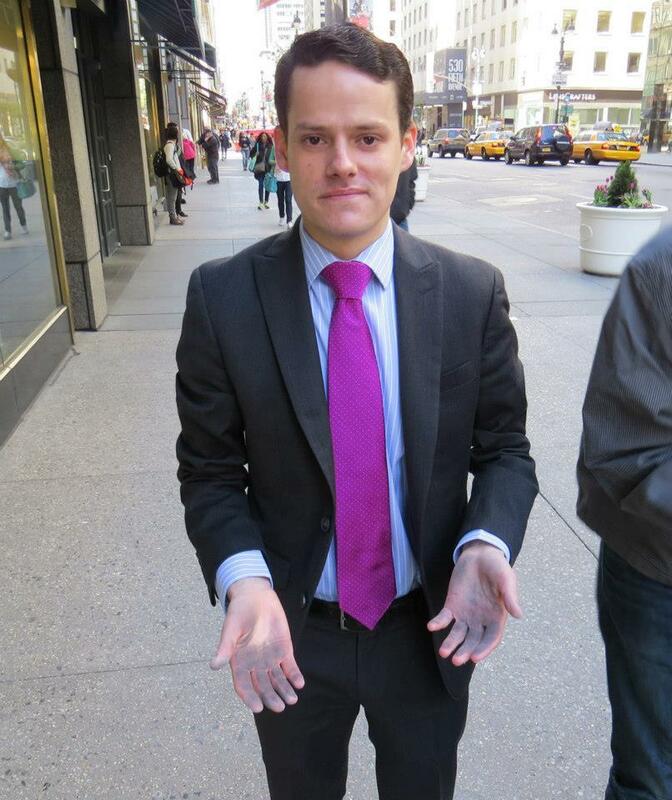 This weekend, gay activist Joseph Amodeo has conducted a stunt in an attempt to bait the Church. He posted an event on Facebook calling on LGBT and their supports to come to St. Patrick's Cathedral with dirty hands in order to protest comments made by Cardinal Dolan, Archbishop of new York. In it, the Cardinal writes about how all are welcome to the Catholic Church. However, this welcome does not mean that all should continue their lives of sin, but must be open to conversion and holiness. The Church is not an "anything goes," as the Cardinal put it. 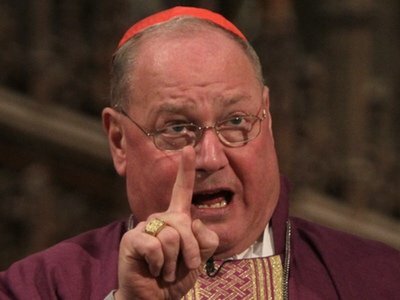 He writes, "We are part of a Church where, yes, all are welcome, but, no, not a Church of anything goes"
Cardinal Dolan made a connection between washing one's hands before coming to the dinner table and keeping ourselves clean before participating at the table of the Lord (The Mass). Amodeo took offense to this believing it to be some sort of a Catholic spiritually elitist statement and organized a protest where protesters would enter the Cathedral with their hands dirty. Security at the cathedral prevented the protesters from entering as well as the NYPD. Amodeo is crying foul and is using this to insinuate the Church as "cold and unchristian." He writes on the Huffington post, "Today, myself and others knocked at the door of St. Patrick's Cathedral, but the door was not opened, rather it was slammed in our faces. As I begin to write this article, I'm cognizant of the raw emotions that I feel deep inside my heart. It's a feeling that I'm unfamiliar with, because until today, I have never been denied a seat at Christ's table. In fact, today marks the first day that I have ever felt disowned, abandoned, and lost." Amodeo is playing the victim as usual. Does he think Catholics are stupid? We understood the Cardinal's post on his blog. We all know as Catholics that we have to be in the state of grace in order to receive more graces. Receiving the Holy Eucharist while in Mortal Sin is a Sacrilege. This is nothing new in Catholicism. Cardinal Dolan is correct in stating that we "have to have our hands clean" before participating at the Lord's table. This is not an attack on the LGBT community or anyone else. This is a reality in Christianity. Amodeo is obviously ignorant in theology and Catholic teaching. Jesus washed the feet of the Disciples before the Last Supper showing that we all must be clean before receiving Him. Amodeo quotes Matthew 7:7-8 which speaks of knocking and the door will be open to you; however he forgets that Jesus has limits on who can enter the Temple of the Lord. In Matthew 21: 12-13 we read how Jesus was upset at how money lenders were using the House of the Lord for the wrong reason: bartering/commerce. He literally kicked them out of His house. Was Christ being uncharitable by doing this? No, of course not! He was kicking out those who were using the House of the Lord for things unrelated to God. Similarly, Amodeo and his LGBT supporters were not allowed to enter because they wanted to use the Lord's House for a ridiculous purpose. Their intention was to mock Christ and His Church; to make Christ and His Church look like bigots in the eyes of the world. Amodeo is obviously on the side of the LGBT, not Christ and his Catholic Church. His cognitive dissonance is obvious and troubling. He must be mature and pick ONE side. Amodeo writes, "I have never been denied a seat at Christ's table." Well that was because at that time you were not doing something stupid. You were actually coming to Mass to experience a conversion, not convert Christ and His Church into a LGBT image. I call on all Catholics to protest Amodeo's actions and remind him that he should only serve the Lord, not the LGBT agenda. He should open the doors to conversion to the LGBT people and help them wash their hands instead of encouraging their lifestyle which is killing them physically and spiritually.